There are a lot of people racing to the finish line to pay off their debt. While there’s nothing wrong with that, it’s not sustainable for everyone (as I’ve experienced). Many people advocate for the “all or nothing” debt payoff approach, where they cut back on everything that isn’t necessary and put every cent toward their debt. This can discourage those who can’t make such “amazing” progress toward their loans. I’ve felt this way many times with my student loan debt, as I’ve watched others pay theirs off at record speed. At the end of the day, you need to do what’s right for you so long as it’s moving you in the right direction, even if it means you slowing down on debt payoff. I know there are a few schools of thought on debt – one being to treat all debt like an emergency. If you have consumer debt with interest rates pushing over 15%, it might make sense to buckle up and charge through it, depending on how much you have. When you’re paying down a large amount of debt, an unsecured personal loan might even be worth considering if it helps you reach your goal in a responsible and faster way. Interest does cost you a lot of money – it’s one of the main reasons I’m paying my student loans off early. Before “taking the slow road,” run the numbers and see where you stand. Can you can stomach how much interest is accruing on your debt on a daily basis? Regardless of where you stand, you need to create a debt payoff plan. However, this plan doesn’t have to be an “all or nothing” one! Everyone has to move at a pace they’re comfortable with. If you’re like many people paying off debt, you might be facing an overwhelming sum. Debt payoff is a long journey. You’re not likely to find yourself in a situation where you can afford to pay off your debt immediately. I started out wanting to put extra toward my student loans, but I never wanted to throw all my savings at it. My student loan debt wasn’t that much of an emergency to me. That’s not to say I didn’t pay large sums toward it when I could. I’ve been putting my tax returns toward my loans, and when I feel stable enough, I’ll put an extra $500 toward it here and there. I sleep better at night knowing I have a decent emergency fund to fall back on in case something happens. The interest accruing on my loans? Don’t get me wrong, it’s bothersome, but not enough to keep me up at night. For that reason, I think it’s best to get clear on your financial values before you decide how you’re going to pay your debt off. I’m also going to “warn” you that your values may change over time. That’s why it’s important to check in with your goals throughout the year. You may find your priorities have shifted! That’s completely okay as long as you adjust your plans accordingly. I’ll use myself as an example. While saving has always been my first priority (long before I had student loans to deal with), paying off my student loans has usually been my second. 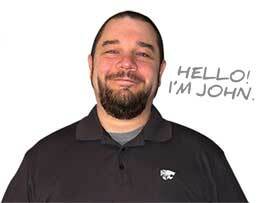 However, when I made the switch to freelancing full-time, I had to halt my extra payments. It pained me to make that decision, but I had to scale back to a bare-bones budget until I started earning a decent income. I wanted that savings cushion there in case something came up. A year later, and I’m still favoring putting money in my savings account at Synchrony Bank as they pay 1.85%, and because there are so many unknowns with freelancing. Sure, no job is ever guaranteed, but I’d rather be safe than sorry. This past year, I’ve realized my focus on savings and student loans has been driving me a little crazy. The point of frugality and managing your money well isn’t to deprive yourself, it’s to give you the freedom to have choices. Except, I wasn’t giving myself any choices. I added family and travel onto my list of values that are okay to spend on. Putting money toward these things meant less toward my student loans. It’s a balancing act sometimes. So while I still feel a tinge of jealousy when I see others making huge payments toward their debt, I’m mostly happy. I’m glad to cheer my friends on in their progress, and I’m happy to enjoy my life a little more now that I’m not as focused on the numbers. I don’t think so, but I know people will disagree. You’re either 100% committed to your goal, or one foot is out the door. When your focus is split, it doesn’t always make for the best progress. But in reality, how many of us can dedicate 100% of our focus to our debt? Going back to the previous point, paying off your debt can span years – years during which plans can change. Going “all in” might sound great, but there will be roadblocks. I think those in their 20s have an easier time with debt payoff, especially if they can move back in with their parents, save a bunch of their income, and temporarily cut their expenses back. I did this upon graduating, and I wouldn’t change much. However, adding in kids, medical issues, possibly taking care of your parents, relocating for a job, or working crazy hours can present many challenges. It’s not as simple to create a plan around all of that! Besides, “all or nothing” takes a special mentality. Some people risk burning out with debt fatigue or giving up completely because they can’t keep up. I’ve felt down for not succeeding at a debt payoff goal. Make sure you can handle it! As with many things in personal finance, there’s also an opportunity cost by going all in with paying off debt. What if you used the extra payments to invest or save? Many people argue that paying off debt gives you a guaranteed return, which is why it should come first. Others will argue to build an emergency fund because without one, you may find yourself going deeper into debt. Consider the alternatives and weigh your options carefully. I would never recommend that anyone completely stop making progress on their debt. You want to be debt free one day, right? Able to put your entire take-home pay toward whatever you want? You can only get there if you keep putting one foot in front of the other. 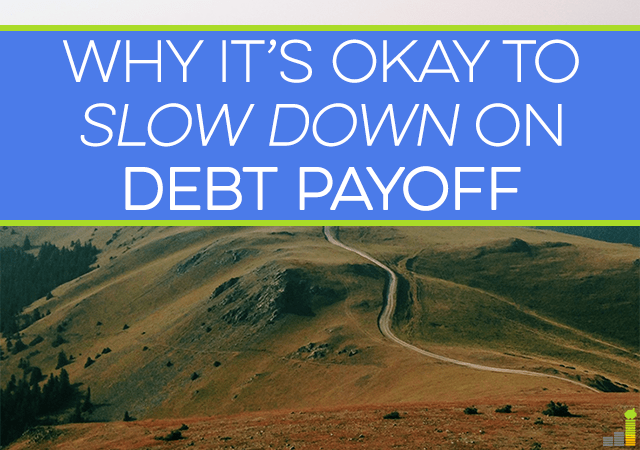 It’s okay if you need to slow down after an intense period of paying down debt. There’s no reason to feel guilty or like your progress doesn’t matter when compared to others. Do what’s right for you in the present. You can’t compare your financial situation to someone else’s – we’re all taking different paths toward the same destination. 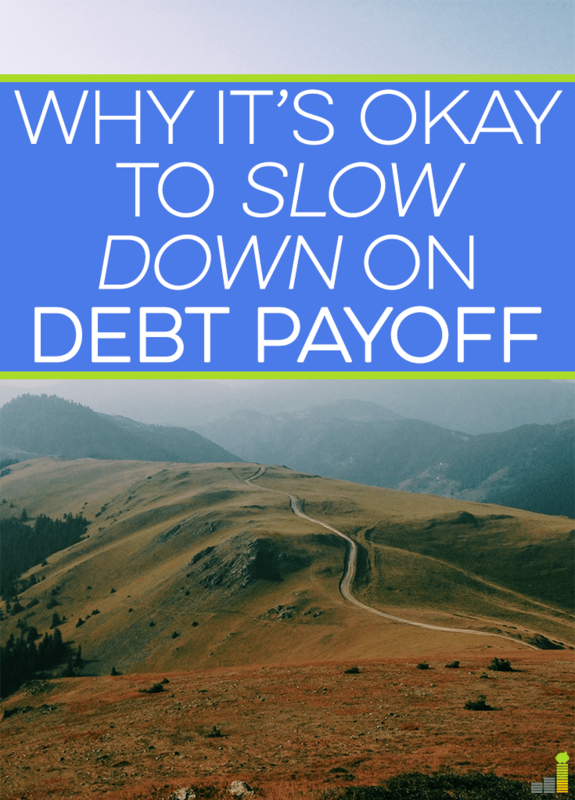 Have you ever slowed down your debt payoff before? Are you a fan of the “all or nothing” approach to paying off debt? What mentality has worked best for you when getting rid of your debt? Great post Erin! I do treat paying off debt like an emergency but I know that as long as I am moving in the right direction I shouldn’t feel bad about not putting as much toward my student loans this year due to income constraints. I don’t like that I’ve had to favor debt payments over savings but that’s why I’ve been sticking it out at my day job for the steady income. If I were a full time freelancer, I would definitely focus on saving more so I agree with you on that. It’s really tough, especially when you have a wedding to plan for! It seems like people either slow down when they have major life changes happen, or they try and pay off their loans asap so they can get on with planning for all of those life changes debt-free. There’s definitely no right or wrong path. I think it’s smart you’re sticking it out at your day job for now! Very true. Just because you set out a plan and start working the plan doesn’t mean that you can’t change the plan as your needs and situations change. I think that’s something a lot of people forget, or feel bad about when they’re in the middle of it. I know I’ve felt a little bit like a failure when I had to stop focusing on paying back my loans, but there was no real reason to. Exactly! If you are going to take debt payoff slowly, you need to do it deliberately, in a way that’s adding to your life. Being forced to take it slow because you’re spending and adding more onto your debt is NOT the way to go! Thank you for this post. Recently more and more people are paying off their debt in record speed like you mentioned. It IS important to do what you can as a family and at your own pace. Paying more when you feel you are in a comfortable spot financially is great advice. I’ve noticed that, Addi. It works for some, but it doesn’t work for others, and I think it’s important we all realize that. If you’re stretched for money, you shouldn’t feel like your progress means less when compared to others. Any progress is good! The debt fatigue thing makes a lot of sense. 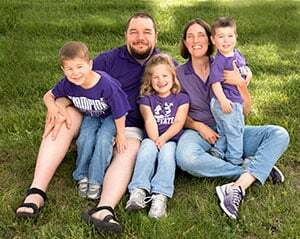 At the same time, I think there are a lot of tricks we can use to change our attitudes so that each stride towards paying off debt feels like an exciting triumph. I really believe that attitude makes all the difference. 100% agree! The attitude you have makes a huge, huge difference in the approach you take. I actually advise clients to slow down debt repayment plans when they have bigger near term goals that they want to accomplish. It stinks to pay interest but I say that the interest they are paying is giving them the flexibility to achieve other things in life. It’s so easy to cast judgment when you’re not living in that situation. I actually started out trying to put all my extra money toward debt, and figured that was the “right” way to do it because I saw so many people saying spending on yourself while in debt was bad. I’ve learned over the past year that’s not the case. It’s dangerous to fall into a herd mentality, and debt is something people have a very strong opinion about. You definitely have to break away from that and figure out what works for you. I think BALANCE is the word we need to have in mind. Debt payment SHOULD be a priority, it’s really not a great thing to carry it for many years. But this doesn’t mean you’ll forgo any chance of enjoyment and happiness, you just need to know your biggest priorities, be smart about it and keep on doing what you have to in order to get better financially. I’m a big fan of trying to find balance. I know it can seem difficult, especially when there are so many priorities competing for our attention, but things tend to fall into place as long as you’re conscious about how you’re spending and what your goals are! I’d love to go all in to pay off our house but since we are in our 40’s and have high taxes, it doesn’t make sense to skip retirement contributions. You have to look at the big picture. Yes, that’s definitely something people should consider as well. There are a lot of different variables that go into a big decision like paying off debt (especially a mortgage). I definitely felt like I wrote this article haha. I recently scaled back my student loan payments. I’m 4 years ahead in payments but this was a down year income wise (commission based income), so I had to make a choice. It was also driving me nuts not having much in savings, so I’m taking a short break from paying the loans. I can still hit my target payoff date pretty easily so a little piece of mind will help. I also decided to sell my car (after I enjoy the 4 months ahead in payments I am) and lease a car. My monthly payments will be much less and it makes sense for me/my job (real estate). Road blocks will come in the way. It’s all about adjusting and rolling with the punches. I know how hard that choice is to make! It stinks, but you have to do what’s right for you. If you’re paid ahead and plan on picking payments back up when you’re able to, the peace of mind is worth it. The problem is when people take breaks and then lose all motivation! Almost all personal finance bloggers will say paying off debt is the best approach regardless of interest rate. I wrote a post stating the opposite and only 3 out of 50 comments were in support of me. I will absolutely delay debt payoff as long as possible if I have a low interest rate. We got loans for our cars at ~3% (maybe 2.75%?) and there is no way I am going to pay that off any faster than required. Our mortgage is at 3.5% and again there is no way I will pay it off faster than required. Any extra money that would go towards debt is going straight to my investment account! We did have to primarily focus on debt but we were living on one income plus disability. Then we were living on disability and unemployment. Since the latter had an end date, we had to put our noses to the grindstone. That said, I wish I’d slowed down a little to put money aside for retirement sooner. It’s interesting to hear that quite a few people wish they had stopped to focus on retirement in the midst of paying off their debt. I think a lot of college grads assume it’s okay to put it off for a few years while they’re paying off their loans, but earlier is always better. I definitely wish I had started contributing earlier!